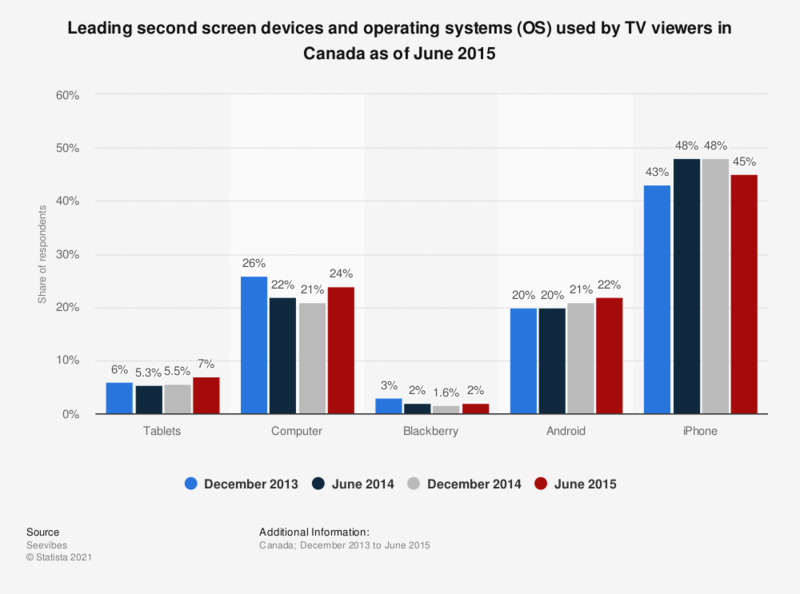 The statistic provides information on the leading second screen devices and operating systems used by TV viewers in Canada as of June 2015. According to the source, 24 percent of Canadian second screen users accessed a computer while watching TV and seven percent were using a tablet. Do you use other devices while watching TV?